Explore the stunning landscape of central Sweden and Norway. 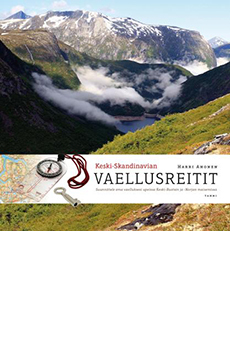 The book provides helpful information on everything you need to know about the walking trails and footpaths of central Norway and Sweden and more. Maps and gorgeous photographs inspire readers to set out on their own long-distance walk. The Hiking Routes of Central Scandinavia is a follow-up to the very successful The Hiking Routes of Northern Scandinavia (WSOY, 2014).